I'm really excited to announce this beautiful handmade jewelry set. As a child, I loved those butterscotch hard candies. You know the ones, the bright yellow delicious butterscotch candies wrapped in yellow cellophane. Mmm-M! This beaded bracelet and earrings set was designed with a cheerful yellow Czech window bead and gold metals. It's the perfect addition to your summer jewelry collection. Yellow just makes me feel happy! Wouldn't you agree?! 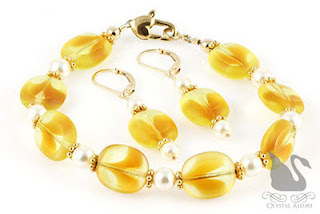 You will look and feel absolutely radiant wearing this beautiful, handmade, golden yellow window glass bead and pearl bracelet with matching earrings set. This is a one of a kind beaded jewelry set and if needed the bracelet size can be altered to fit your wrist. The sunny color of this handmade beaded bracelet will make you smile everytime you put it on your wrist. Yellow Czech window beads are accented with elegant white Swarovski Pearls, vermeil gold Bali and finished with a 14kt gold fill heart clasp. Bracelet measures 8-1/2". These lovely handmade beaded earrings almost look just like those wrapped butterscotch hard candies. 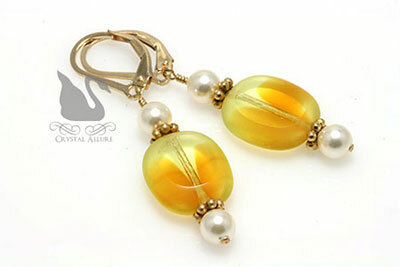 The same yellow Czech window beads are adorned with white Swarovski Crystal Pearls, vermeil gold bali on 14kt gold fill leverback earwires. Length is 1-1/4" from the bottom of the earwire. 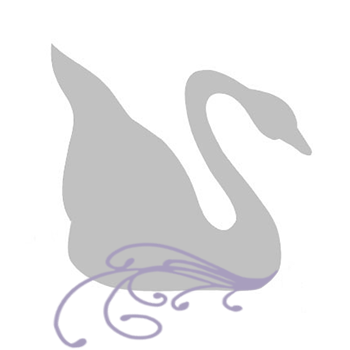 Pearl is also June's Birthstone. This jewelry set would certainly make for a heartfelt and thoughtful birthday gift.